After years of teaching at Bigelow Laboratory for Ocean Sciences with humor and dedication, senior research scientist David Fields has won the prestigious 2019 Ramon Margalef Award for excellence in teaching and mentoring in the fields of oceanography and limnology. Fields is a zooplankton ecologist who studies how small-scale interactions impact the global distribution of these tiny animals, and he also helps lead three of Bigelow Laboratory’s education programs – all of which are currently accepting 2019 applications. Fields will receive the award at the Association for the Sciences of Limnology and Oceanography Aquatic Sciences meeting in San Juan, Puerto Rico, in February. He will attend the meeting with 17 students who completed Bigelow Laboratory’s 2018 Research Experience for Undergraduates program, which he developed 10 years ago and leads every summer. 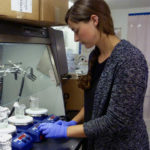 Over the last decade, about 150 undergraduate students from across the U.S. have traveled to East Boothbay to conduct original research under the mentorship of Bigelow Laboratory scientists. About a third of these Research Experience for Undergraduates interns have presented their projects at scientific conferences, and many have published their work, resulting in 18 peer-reviewed papers. Applications for the 2019 program will be accepted until Friday, Feb. 15, and undergraduate students can submit them at bigelow.org. Fields also works with research scientist Nicole Poulton to co-lead the Keller BLOOM (Bigelow Laboratory Orders of Magnitude) program, which has engaged over 450 Maine high school juniors in experiential learning over the last 29 years. These students work with Bigelow Laboratory scientists, go on a research cruise, conduct experiments, and learn how to analyze their results. The program provides students an opportunity to learn about the biological, chemical, and geological characteristics of the local marine environment and envision what a career in science would be like. 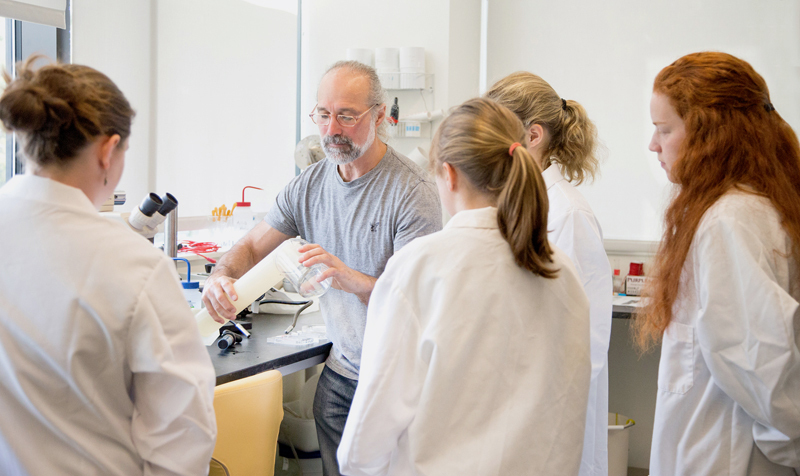 Every fall, Fields and Poulton also teach a field methods course to Colby College students in a semester-in-residence program at the laboratory. 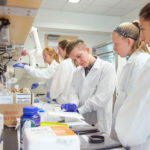 Applications for the May 2019 Keller BLOOM program will be accepted until April 15, and all current high school juniors in Maine are invited to apply on Bigelow Laboratory’s website. In 2010, Fields helped spearhead the creation of a professional development program for Maine science educators. The program provides teachers the opportunity to spend a week immersed in science education and curriculum development at no cost. They return to schools across Maine equipped to teach ocean science in a local and global context. 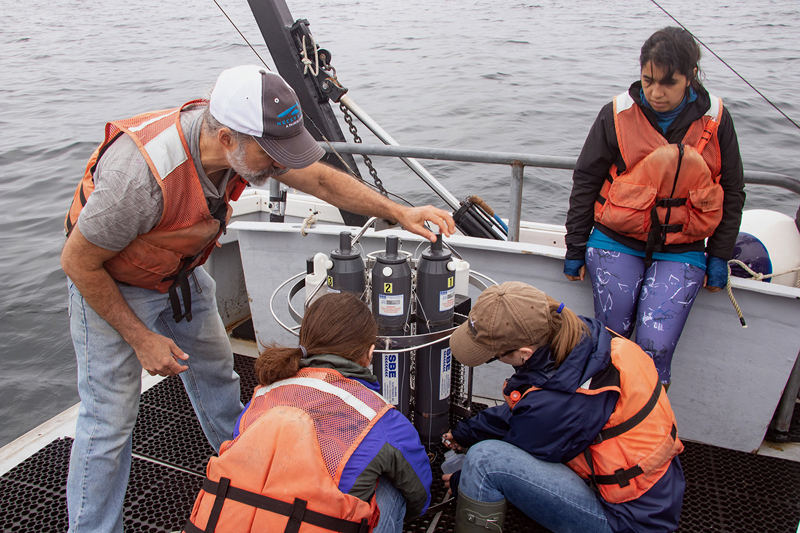 Fields and Poulton give instruction on a broad range of oceanographic topics, from how to calibrate scientific instruments to the global carbon cycle. 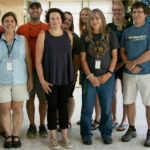 The BLOOM educators program will be held in August, and Maine science teachers can register on Bigelow Laboratory’s website.